The Window Trail in Big Bend National Park is one of the most iconic trails in the entire park. 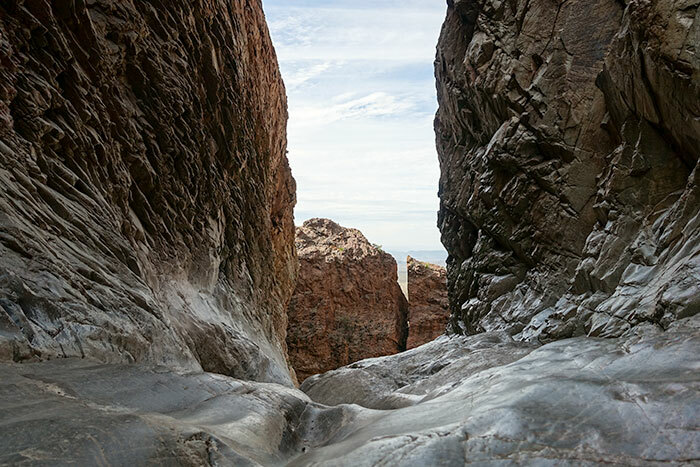 This popular hike will take you all the way down to the pour-off for the “Window.” All the way down to the base of what everybody that stays in Chisos Basin spends countless hours snapping pictures of and watching the sun set through. 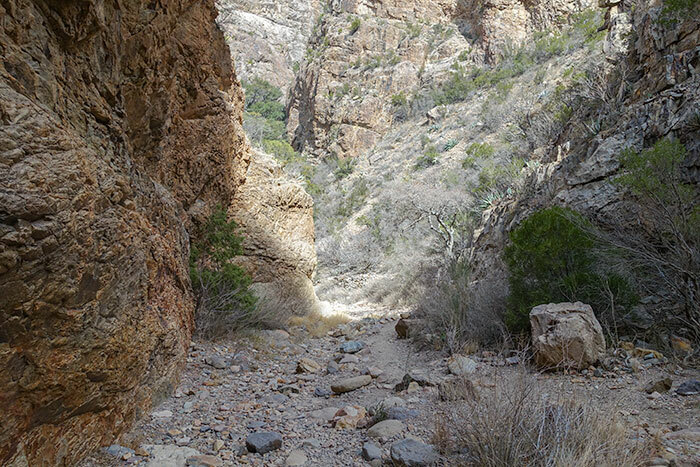 You can get to the trailhead from the parking lot in Chisos Basin. Look for the sign to the West (to the left of the building if your facing it from the parking lot) of the convenience store (29.270255, -103.301075). 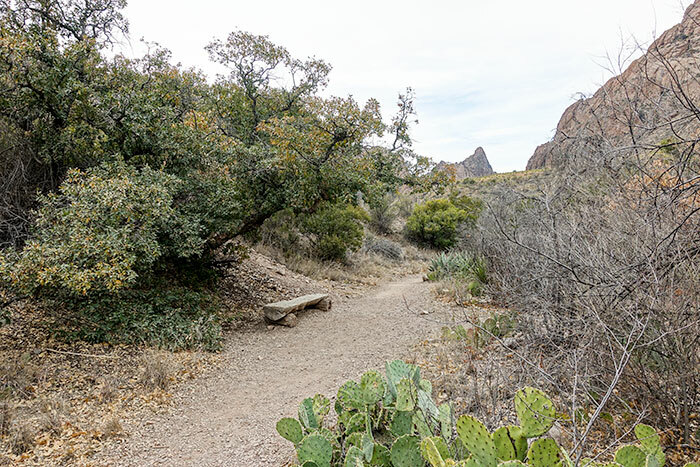 If you’re staying in Chisos Basin Campground, there’s another trailhead directly out of the campground (We hiked from the trailhead out of the parking lot for this post). Click here for a larger version of the topographic map. When preparing for this trail, keep in mind that the first half is all downhill, so it’ll seem easy until you have to turn around and come back, which of course, is all uphill (as you can see in the elevation change graph above). 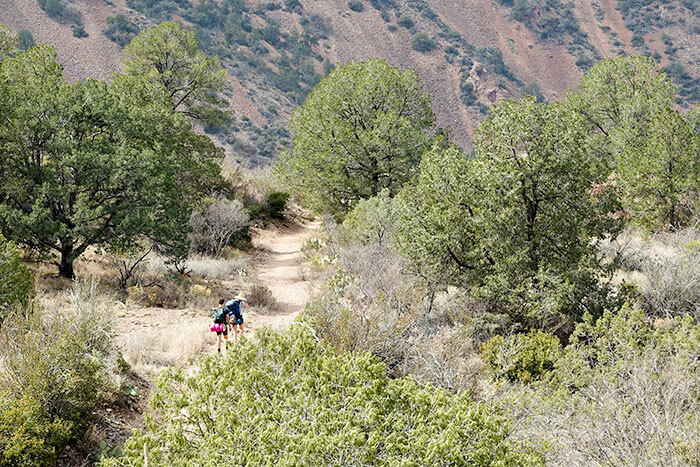 The trail is well worn and well maintained, so footing is good throughout the majority of it. 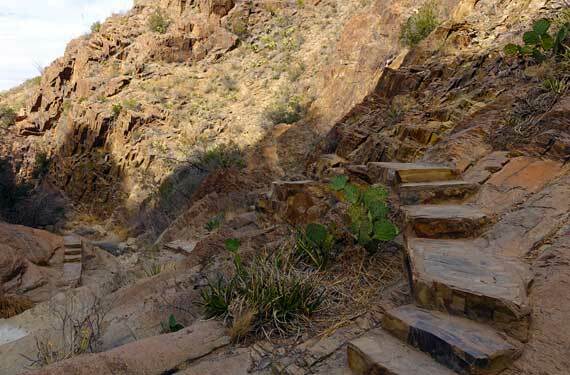 The Window Trail is one of the busier trails in Big Bend National Park, so don’t expect to have it to yourself. 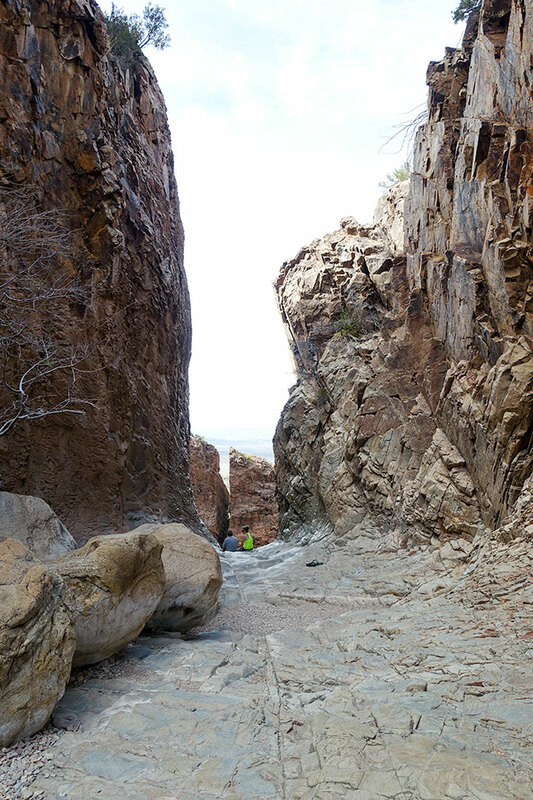 We passed around 10 or so hikers while we were out in February (peak season in Big Bend). 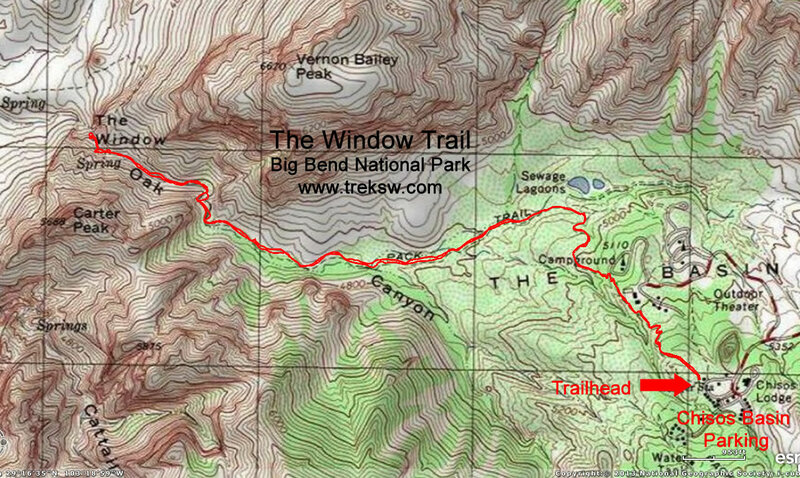 Initially, the trail will be very busy, as some people will head down the trail for about half a mile or so to try to get a better picture of the Window itself, but will turn back from there. 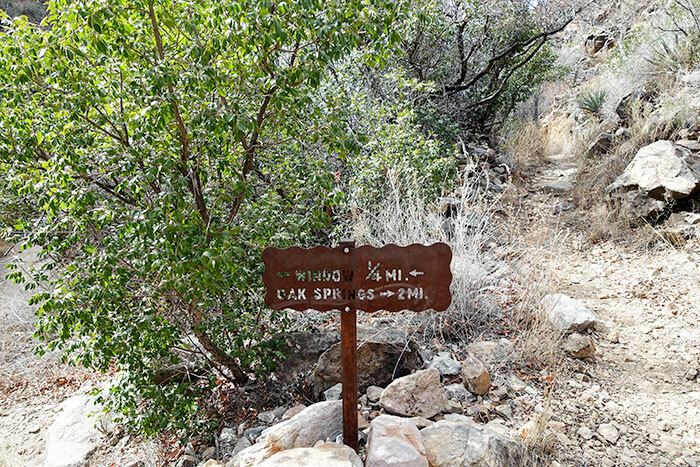 The first quarter of the hike will lead you through some low brush and trees as you make your way down the mountain. 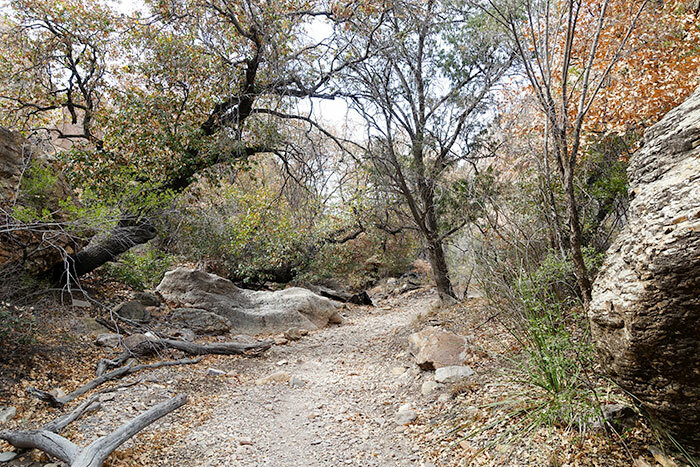 Once down past the trailhead from the campground, you’ll start hiking alongside Oak Creek. From here, the brush and trees start getting taller and the wildlife becomes more abundant. 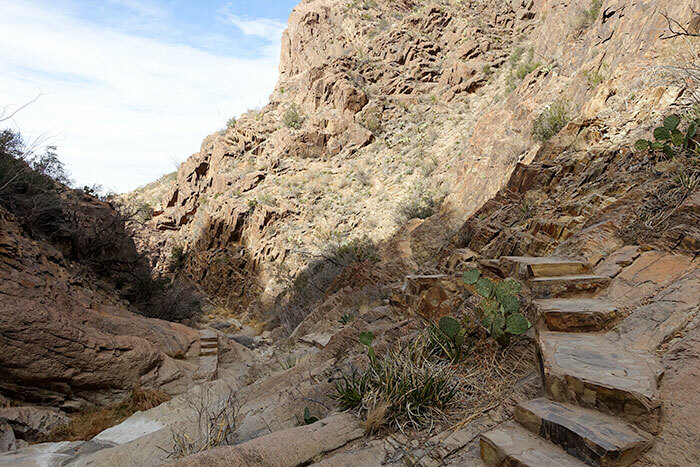 About three-quarters of the way to the end of the trail, the canyons will start rising higher and closing in on you. A little way into the canyon the trail will split, with the right fork being Oak Springs Trail, which is a beautiful two-mile hike down to the bottom of the pour-off. The left-hand fork will continue on The Window Trail to the upper part of the pour-off. 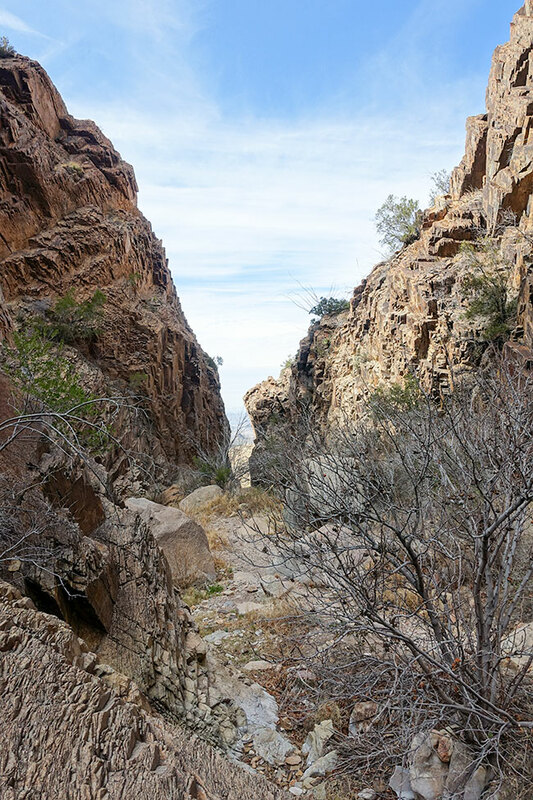 Past where the trail splits, the canyon walls will get even closer and the ground uneven. In some areas, they have carved steps in the rock so that you can get through without slipping and sliding. 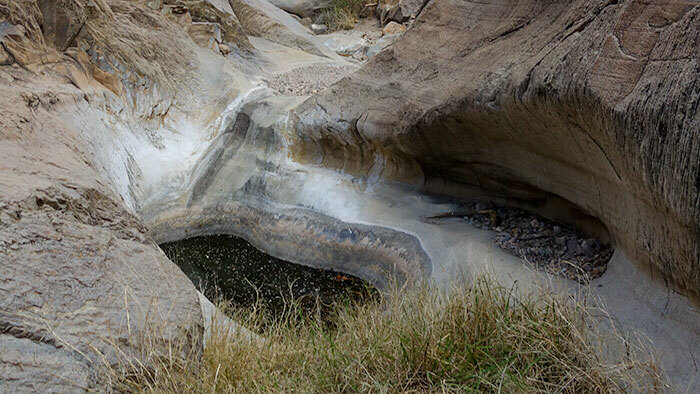 Depending on the time of year, you may have to wade through or step over water in this area of the canyon. Since we came through in late winter (the dry season) there was only a little water standing in a tinaja. Just a little further past the steps, you’ll start to be able to see the canyon open up into the view from the pour-off. As you approach the pour-off, be very careful. 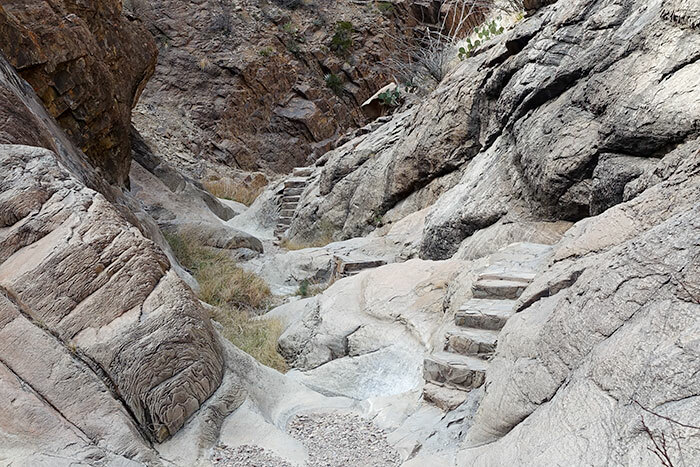 The stone along the trail gets slick from where thousands of years of water and sand have flowed out of the mouth of the canyon to the 220 foot drop to the desert floor below, polishing it to a sheen. These guys were a little braver than we were. I would hate to slide off the edge and become a dark spot on the canyon wall below. We stood back a little further. The ground was just too slick for us. 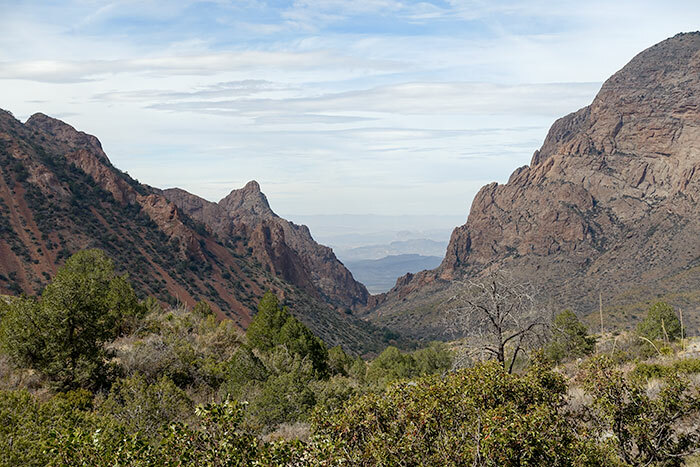 From here, all that’s left to do is hang out and relax, then head back up to Chisos Basin.